There is good news for the patchy-bearded men – beard transplant is easily available to get rid of all your hair worries. Who is beard transplant for? People who have scanty, patchy or no hair growth at all, can easily opt for this effective procedure. Beard FUE needs to be performed by an experienced FUE surgeon. Recent data reveals that the procedure has increased more than six-fold in the past five years. Here is a quick guide. 1. It is same as scalp hair transplant: Beard hair transplant is no different. A hair surgeon extracts hair follicles from another part of the body, from the sides and back of the scalp hair; it is then transplanted in the beard region. This procedure can take anywhere from 2-8 hours and also may require another sitting. Donor’s hair can also be taken from other parts of the body like chest. 2. The hair grows like normal facial hair: After the transplant is done, the beard normally grows like facial hair. The surgeon carefully picks scalp hair that matches facial hair and then very carefully and delicately transplants it. 3. It is painless: Yes, you heard that right. No more going through hair treatments that you don’t like. This treatment is virtually painless. There are two techniques involved known as FUE (Follicular Hair Extraction) and FUT (Follicular Unit Transplant- strip transplant). 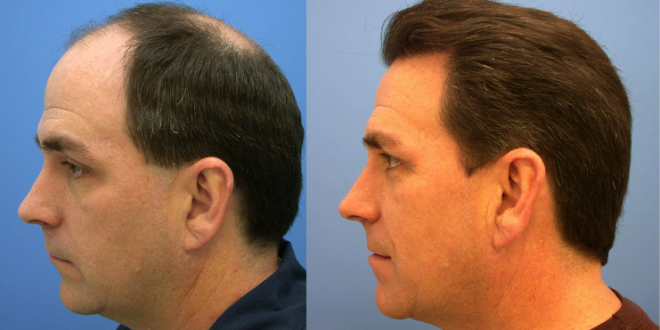 The FUE technique involves the hair surgeon to cherry-pick the hair needed for the transplant. Therefore, there is no need to make a large incision. It is painless as compared to the traditional FUT technique. 4. The roots remain intact for future growth: You must be wondering whether you will be able to shave after the treatment is over and what will happen to the transplanted hair. You will be glad to know that after the transplanted hair falls off; the roots will remain and will grow naturally like normal beard. You will be forbidden to shave only for the first ten days or so, afterwards, you can shave as often as you like. 5. It is permanent: The great thing about it is that it will yield permanent results, and you don’t need to worry about losing your new facial hair. It is safe and apart from getting a much denser and fuller beard, it can also be done to hide scars and injury. Also, the cost may vary; and while you may have to spend a little depending on your needs, you get a permanent result. It’s important to choose the right surgeon or clinic though to get the right results. If you are planning to go for a beard surgery, it is advisable to compare quotes, make enquiries, book appointments, and talk to a specialised FUE surgeon with a good amount of practice and experience. Take the time and understand the amount of time required for the surgery and the precautions to be taken. You can click here to know more about beard hair transplants and how they work.